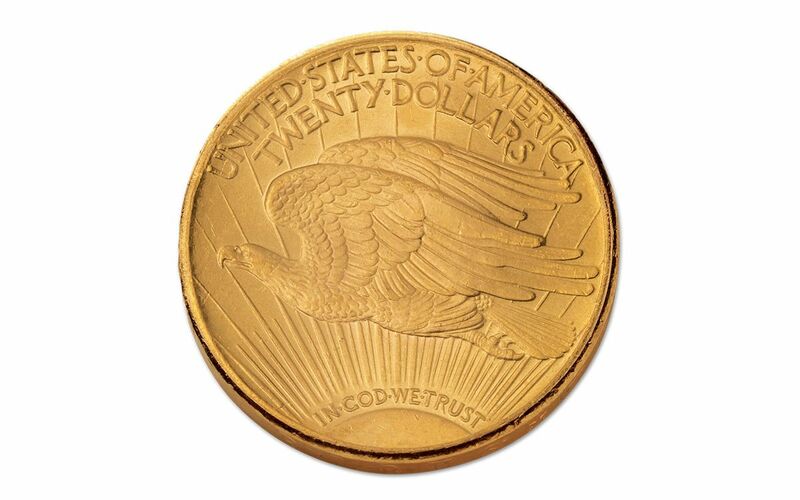 Among all the gold coins struck by the U.S. Mint from the 1790s to the 1930s, one coin stands out: the majestic $20 gold 'Double Eagle' designed by famed American sculptor Augustus Saint-Gaudens. This example struck at the Philadelphia Mint in 1924 grades Mint State-64 (MS64) by Numismatic Guaranty Corporation (NGC). 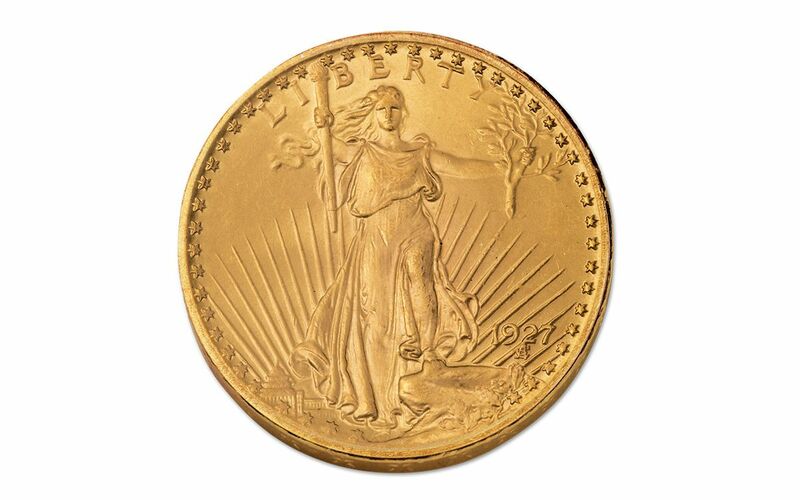 For many collectors the Saint-Gaudens gold is the one gold coin they strive to own. 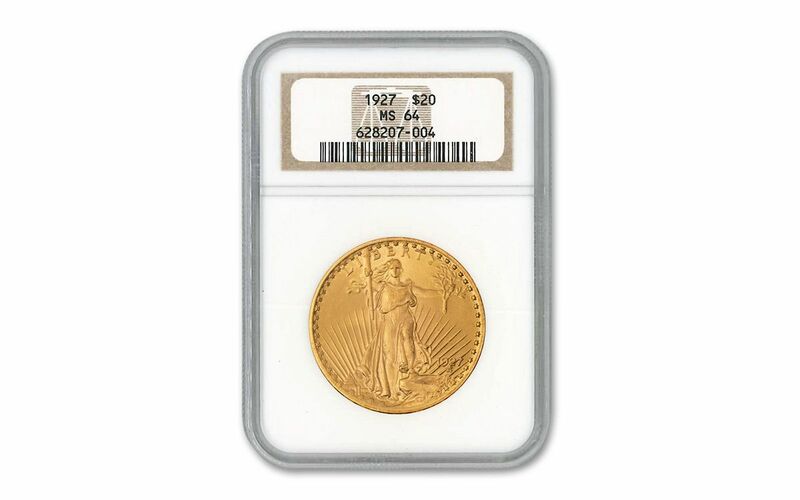 Certainly the Gold Liberty design which was minted between 1849 and 1907 is a vintage American classic. But the Saint-Gaudens coin, with Miss Liberty striding forward, the rising sun behind her, with her Torch of Liberty raised high, is, for lack of a better word, breathtaking. Flipping the coin over never disappoints. The bold bald eagle rising to the heavens in front of the rising sun may stop you cold in your tracks as you gaze on its majesty. The MS64 grade of this example from 1927 is a high uncirculated grade indeed, offering blazing original mint luster and few, if any marks. Don't wait. Add this coin to your collection today. If you only ever own one gold coin, this is the one. 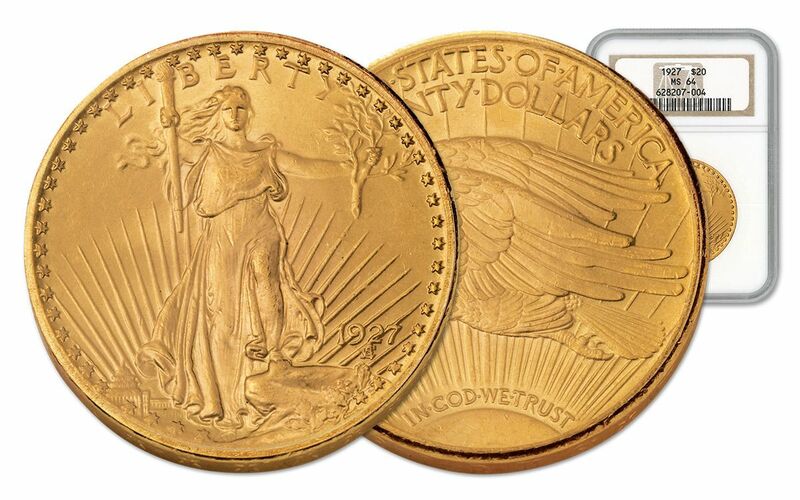 And, if you are assembling a 12-piece U.S. Mint Gold Coin Type set, this example is your centerpiece.